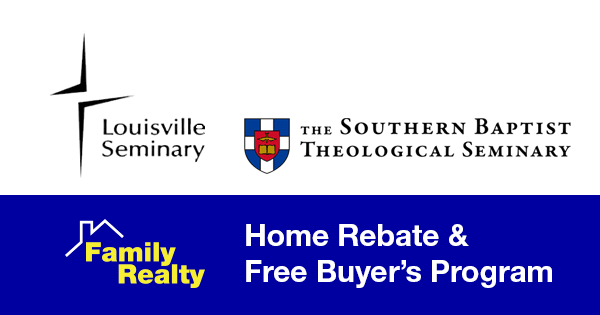 Louisville Seminary Students: Buying a home and getting a rebate back! We help busy Seminary students find homes to buy in Louisville. Be it the Presbyterian Theological Seminary or Southern Baptist Theological Seminary, we can help you and your families find right home in your budget. We also offer a rebate back to you that you! Our free buyer's program is tailored to your needs, guiding you through the home buying process. We've helped many students already buy the home that was right for them. Contact us for more information on our buyer's program and our rebate program!! All of our services are FREE to our buyer clients!